Are we the only people who, on saying they were going to see Phèdre, were asked whether we expected him to win at Wimbledon? 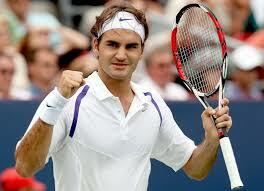 The tennis player Federer is ˈfeːdəʁɐ in German, ˈfedərə(r) in English. The schwa in the middle of his English name meets the conditions for combining with the following r to give a syllabic r, which in turn can become non-syllabic by the process of compression: ˈfedrə. Racine’s play, Phèdre, is in French fɛdʁ(ə). I suppose in English that’s ˈfedrə or ˈfeɪdrə. So in an English context confusion with the tennis player is only to be expected. The Wimbledon Tennis 2009 Prize Money for different sections is same for Men's and Women's. His name is Swedish, why do we care how his name is pronounced in German, English or French, he is neither and we shouldn't try to give his name a treatment it is not supposed to have. I think it's accepted that personal names (as opposed to place-names) should approximate to the pronunciation of the person concerned, within the limitations of the speaker's own sound system. I asked an English friend of mine who is of Swiss descent how the Swiss would pronounce Roger Federer's name. I'd transcribe his reply as ˈfæːdɐrɐ. He'd be the first to say, though, that Swiss dialects can vary virtually from village to village. I had been thinking of his first name, on the basis of Duden, as ˈroːgɐ, but apparently his family has always pronounced it in the English way.